Hörôur, known simply as “Míó” is an outdoor enthusiast, mountain guide and outdoor education instructor from the capital of the North, Akureyri. From a young age Míó has been drawn to the great outdoors, primarily to mountainous terrain and for the past years the vertical world has been a dominant force in Míó’s life. He is always on the hunt for the next awe inspiring line, be it on skis or tied in to the sharp end of the climber’s rope. Míó started his guiding career in 2007 and has extensive guiding experience in Southern Iceland as well as in Southern Greenland. His goal is always to have another fantastic day in the mountains, and returning home safely with an inspiring story to tell. Mt. Hrútsfjallstindar – Öræfjajökull, Iceland. 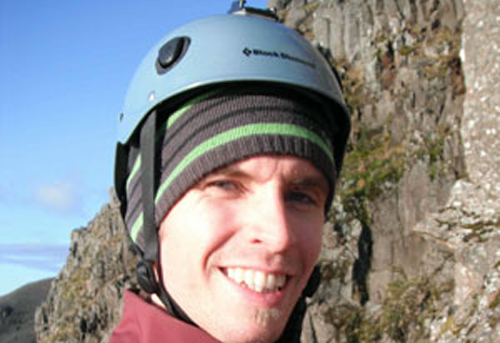 Founding member of the “Association of Icelandic mountain guides – AIMG”. Iceland’s guide for “Alpine Ascents International“. First Instructor for Mountain program at FAS. First generation guide for Glacier Guides – Skaftafell national park. First generation guide for Greenland tours. Founder of CAA’s AST level 1 program in Iceland. Rescue 3 International, Unit 1 SRT Swift-water Rescue Technician.